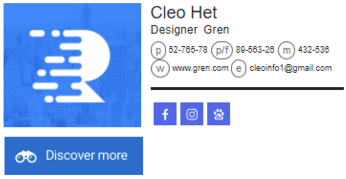 How Can Freelancers Benefit From Using Email Signatures? What is an email signature and do I need it? These questions will probably sound quite familiar to many people out and especially to freelancers. 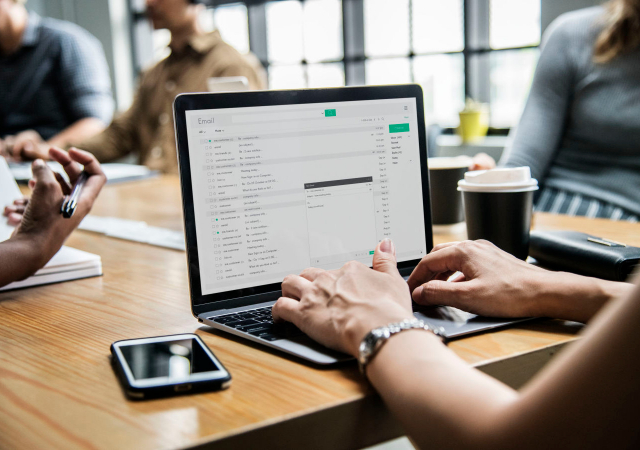 While many marketers and entrepreneurs already start realizing the importance of having a good email signature, freelancers still ignore the benefits it can give them. Many believe that such an element of business communication is irrelevant to them. They think that it can’t be any help for growing their freelance business. Well, such concerns are understandable. However, they are wrong. Isn’t any business about taking every opportunity to expand and have more customers? The right answer is yes. Then think of your email signature as of another possibility that can let your potential clients find you and learn what you do. It is your chance to drive attention to you as a professional. With a well-designed signature, you showcase your skills and highlight your professionalism. This is important not only for businesses but for freelancers as well! An email signature is a necessary element of every letter you send. Many successful marketers have proven that having a good email signature contributes to the achievement of many big marketing goals. You can easily find some good email signature generator services in the market such as NewOldStamp & many more. It promotes your business and products by attracting the attention of potential customers. It also generates more traffic for different social media channels, websites, and blogs you want to share with your audience. This element of your email completes the message you share and helps you create trusting relationships with your recipients. Your photo or logo (if you have one) to create a visual presentation of your business. 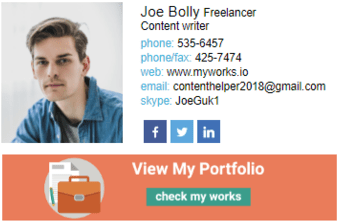 Why Does Every Freelancer Need To Have An Email Signature? Being a freelancer, you probably are in the constant search for ways of getting more leads, clients, and exposure. Creating an email signature can help you with all those goals. If you design it right, it will make your emails look more professional, show your skills, increase your social presence, and even drive more clients to you. For a freelance, building up an individual professional image is not less important than working on the company’s branding. It helps you develop your unique style, which will make you recognized among all the other specialists in your field. It helps your audience link your business to an image – if you add a photo or logo to your signature, you will earn the trust of your potential customers faster and easier. It lets more people know about you – how many emails do you send every day? What about every week? We bet there are lots of them. Well, with a signature, each of those emails will let people know about you! Your audience can get to know you closer. It is okay if people know who you are, but it is even better if they know a LOT about you. Add links to your social accounts to establish long-lasting relationships with your recipients and tell them more about yourself. What is the worst part of being a freelancer? We believe that it is trying to stand out in a big crowd of competitors. Without a doubt, it is hard to compete with thousands of great specialists from the same field, especially if they have more experience or offer a lower price for their services. However, this is another way in which an outstanding signature can come in handy for you. All freelancers use email to send messages and offer to their potential customers. Now imagine how many letters your prospects receive every day. We are confident that the majority of them just get lost in piles of boring and same-liked emails. However, if you have a bright email signature, there is no way that your letter will remain unnoticed! Although it is a tiny detail that may not seem too important, it drives attention immediately and leaves a lasting impression. Thus, it makes you stand out, shows your creativity, and gives you more chances that a customer will choose you over other specialists. If you are a blogger, for example, then probably traffic is the primary source of your income. We bet that you are always searching for a way to get more people to visit your blog. Why shouldn’t you use your email for this purpose? It may surprise you but professionals, who have an email signature with a link to their website, get at least 20% more traffic than the ones that don’t use this opportunity. You can use your stamp to tell people about a new blog post you’ve added. Also, you can use a call-to-action to ask your audience for likes, views, and shares. Thus, an email signature gives you a whole bunch of opportunities for the growth and success of your freelance business! Be sure to use them, and you will reach the top!